Official Fantasy Bundesliga Managers take note: bundesliga.com is on hand to provide likely line-ups as well as injury and suspension news ahead of Matchday 13. Get your Official Fantasy Bundesliga squad in shape for Matchday 13 here! With an almost full-strength squad at his disposal, VfL Wolfsburg coach Valerien Ismael has announced that he will make changes for Saturday's game against Hertha Berlin, and the Frenchman could even switch from a 4-2-3-1 formation to a 3-5-2. Julian Draxler missed Wednesday's training session with a minor groin problem, and could be replaced by Maximilian Arnold or Daniel Didavi in the number 10 role if he fails to recover in time. 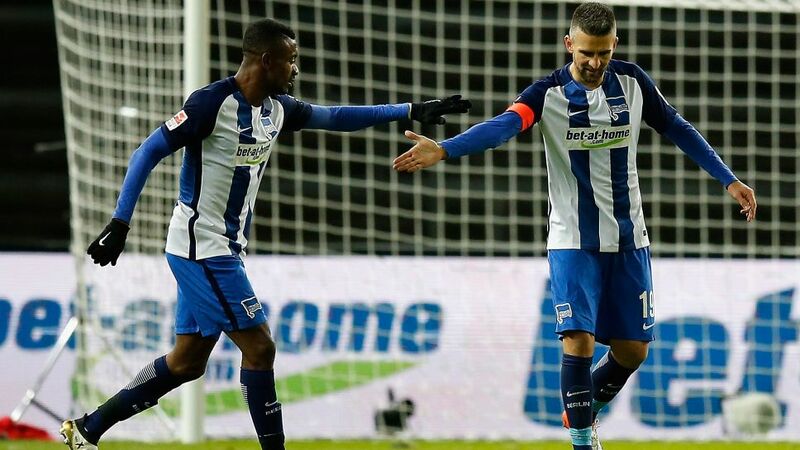 Hertha captain Vedad Ibisevic is suspended after being sent off in last week's 2-1 win over 1. FSV Mainz 05 (in which he scored both of his side's goals), and coach Pal Dardai has hinted that he will be replaced by Julian Schieber. Midfielder Ondrej Duda will be out until the new year after undergoing knee surgery this week, while Per Skjelbred and Mitchell Weiser miss out with thigh injuries. Head to our Match Centre for more information. VfL Wolfsburg host Hertha Berlin at the Volkswagen Arena, with the game kicking off at 15:30CET/14:30GMT on 3 December. Click here for the full match preview!